McWee was looking for money to buy drugs when he entered a convenience store in rural Aiken County and took clerk John Perry to the back and shot him twice in the head before stealing $350 from the cash register. McWee also pleaded guilty to murder and was sentenced to life in the shooting death of his boss a week later. His co-defendant, George Scott, who was along on both shootings and shot the second victim, received a life sentence for both killings as part of a plea bargain and testified against McWee. State v. McWee, 472 S.E.2d 235 (S.C. 1996) (Direct Appeal). McWee v. South Carolina, 519 U.S. 1061, 117 S.Ct. 695, 136 L.Ed.2d 618 (1997) (Cert. Denied). State v. McWee, 593 S.E.2d 456 (S.C. 2004) (State Habeas). McWee v. Weldon, 283 F.3d 179 (4th Cir. 2002) (Federal Habeas). McWee v. South Carolina, 537 U.S. 893, 123 S.Ct. 162, 154 L.Ed.2d 158 (2002) (Cert. Denied). Steak, jumbo fried shrimp, broccoli with cheese, french fries, lemon meringue pie and iced tea. (Read by lawyer) "I only wished that things could have been different, I would give anything if only that could have been the case." Sentencing Judge: L. Brown, Jr.
COLUMBIA, S.C. - Jerry McWee glanced at the witnesses to his execution for only a moment - just long enough to blow two kisses to his mother. Then he gazed back up at the ceiling Friday and mumbled as he was put to death for killing an Aiken County convenience store clerk in July 1991. Authorities say McWee, 51, was looking for money for drugs when he took John Perry to the back of the country store and shot him twice in the head before stealing $350 from the cash register. In his final statement read by his lawyer, McWee asked both his own family and Perry's family to forgive him. "I only wished that things could have been different," McWee wrote. "I would give anything if only that could have been the case." A tear formed in his eye as his mother blew a kiss back at him and his final words were read. That tear finally rolled down the side of his head moments after he stopped breathing. More than 10 minutes later, McWee was officially declared dead at 6:18 p.m.
Celia McWee softly sobbed, a well-wadded tissue in her hand, as she waited for prison officials to open the curtain to the death chamber. She gasped "Oh my God" and her cries got louder as the curtain opened and she saw her clean-shaven son strapped to the gurney, his arms extended, and intravenous tubes stretching through a nearby wall. A minister put his hand on her shoulder. After glancing at his mother, Jerry McWee looked back at the ceiling, softly mumbling as the tubes shuddered. He blinked several times and his breathing got shallow, then stopped. Celia McWee's sobs got softer as it was obvious McWee was no longer breathing. But she never took her eyes off her son. A member of Perry's family also witnessed the execution, and his gaze never left McWee's body either. After the execution, Perry's wife and family issued a statement thanking the community, law enforcement and prosecutors and saying it was not a time to rejoice. "God has given us free will - we are each responsible for our actions," part of the statement read. "Please make choices you can live with. Please pray for the soul of Jerry B. McWee." McWee also pleaded guilty to murder and was sentenced to life in the shooting death of his boss a week later. His co-defendant George Scott, who shot the second victim, received a life sentence for both killings as part of a plea bargain. McWee had two final appeals rejected this week. The U.S. Supreme Court turned down one appeal where McWee argued the jury in his trial should have known he would have been 71 years old before he became eligible for parole. And on Thursday, Gov. Mark Sanford refused to reduce McWee's sentence to life in prison without parole. McWee's lawyers had argued for clemency because prosecutors cut Scott a deal. McWee's execution brought a larger number of protesters than usual to the Broad River Correctional Institution. About 50 people walked the sidewalk along a busy city street in front of the prison, then gathered in a circle and prayed as the time for McWee's execution came. Several of the protesters said they came out Friday because Celia McWee marched down the same sidewalks during some previous executions. Jerry McWee is the 30th inmate put to death in South Carolina since the death penalty was reinstated in 1976. The state's last execution came March 19 when David Clayton Hill was put to death for killing a Georgetown police officer 10 years ago. The next execution comes next Friday, when Jason Byram is scheduled to die by lethal injection for the stabbing of a teacher in her downtown Columbia home. The South Carolina Supreme Court on Friday set an execution date for a man convicted of killing an Aiken convenience store clerk almost 13 years ago. Justices said Jerry Bridwell McWee will be put to death April 16. McWee is a former Augusta, Ga., police officer who was convicted of killing John Perry on July 6, 1991. Prosecutors said Perry was working alone at the 19 Corner Store in Aiken County when McWee's accomplice, George Wade Scott, stopped to use an air hose. As Scott returned the hose, McWee entered the store with a .38-caliber revolver. McWee took Perry to the back of the store and shot him twice in the back of the head. Authorities say McWee and Scott stole $350 from the store's cash register. They later killed another man, Aiken roofing contractor David Willis. Both men eventually pleaded guilty in that case. Scott pleaded guilty and testified against McWee in the Perry case and was sentenced to life in prison. COLUMBIA, S.C. (AP) -- S.C. prison officials this evening executed Jerry McWee, who was found guilty of killing an Aiken County convenience store clerk in 1991. With a minister's hand on her shoulder, McWee's mother sobbed after her son was put to death Friday. McWee, 51, blew a kiss at his mom and she blew one back. A tear formed in his eye as his final words asking for forgiveness were read. That tear finally rolled down the side of his head moments after he stopped breathing. More than 10 minutes later, McWee was officially declared dead at 6:18 p.m. Authorities say McWee took clerk John Perry to the back of the country store and shot him twice in the head before stealing $350 from the cash register. McWee lost a final appeal to the U.S. Supreme Court and a plea for clemency to the governor earlier this week. He is the 30th inmate put to death in South Carolina since the death penalty was reinstated in 1976. COLUMBIA--Jerry McWee, the Aiken County inmate scheduled to die Friday by lethal injection, is no stranger to the other side of the law. More than a decade before he killed two people in 1991, McWee was a police officer in Augusta for a couple of years. Since his conviction, he's apparently stayed out of trouble, committing just one minor infraction in 10 years on death row, his lawyers say. Prosecutor Barbara Morgan says any good McWee might have done in his life was destroyed by what he did at a rural convenience store in July 1991. "He literally took this man who had just moved here to get away from crime, and as he was asking for his life, took him to the back and shot him in the back of the head," Morgan said. McWee shot John Perry twice before taking $350 from the cash register, authorities said. He likely will die for that murder at 6 p.m. today at the Capital Punishment Facility at Broad River Correctional Institution. McWee lost his final chance to avoid a death sentence Thursday afternoon when Gov. Mark Sanford denied his clemency petition. McWee asked to have his sentence reduced to life in prison without parole because his co-defendant in the Perry killing and a second fatal shooting a week later struck a plea bargain that gave him a life sentence. "The governor found no reason in this case to effectively overturn the results of an exhaustive judicial process," Sanford spokesman Will Folks said in a statement. The clemency denial is no real surprise. No governor has reduced a death sentence to life in prison in South Carolina since the death penalty was reinstated in 1976. McWee lost an appeal to the U.S. Supreme Court earlier in the week. Those were his last two chances to save his life, his lawyer John Hardaway has said. McWee's supporters point out McWee had never been in trouble with the law when he met his co-defendant, George Scott. While McWee may have pulled the trigger, Scott was at the store when Perry died. When the two killed their boss, David Wills, it was Scott who fired the shots, McWee's lawyers said. Scott was a career criminal who saved his own skin by cooperating with authorities, according to McWee's clemency petition. Morgan doesn't see it that way. She recalls Scott's testimony on how McWee ordered him to kill Willis or die himself. "McWee was an EMT, so he literally was taking his pulse as they shot him," Morgan said. "And he told the guy where to shoot him a second time so he died for sure." COLUMBIA, S.C. - Jerry McWee, the Aiken County inmate scheduled to die Friday by lethal injection, is no stranger to the other side of the law either. More than a decade before he killed two people in 1991, McWee was a police officer in Augusta, Ga., for a couple of years. And since then, he's apparently stayed out of trouble, committing just one minor infraction in 10 years on death row, his lawyers say. But prosecutor Barbara Morgan says any good McWee might have done in his life was destroyed by what he did at a rural convenience store in July 1991. "He literally took this man who had just moved here to get away from crime. And as he was asking for his life, took him to the back and shot him in the back of the head," Morgan said. McWee shot John Perry twice before taking $350 from the cash register, authorities said. And he likely will die for that murder at 6 p.m. Friday at the Capital Punishment Facility at Broad River Correctional Institution. 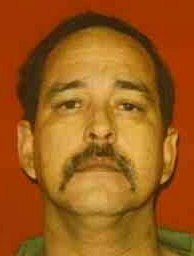 McWee lost his final chance to avoid a death sentence Thursday afternoon, when Gov. Mark Sanford denied his petition for clemency. McWee asked to have his sentenced reduced to life in prison without parole because his co-defendant in the Perry killing and a second fatal shooting a week later struck a plea bargain that gave him a life sentence. "The governor found no reason in this case to effectively overturn the results of an exhaustive judicial process - one that included multiple appeals at every level of the system," Sanford's spokesman Will Folks said in a statement. The clemency denial is no real surprise. No governor has reduced a death sentence to life in prison in South Carolina since the death penalty was reinstated in 1976. McWee also lost an appeal to the U.S. Supreme Court earlier in the week. Those were his last two chances to save his life, his lawyer John Hardaway has said. Hardaway did not immediately return a phone call for comment Thursday. McWee is the first inmate Morgan has sent to death row to face the ultimate punishment. She won't watch the execution because she had a prior engagement out of town. "I think the sentence is justified," Morgan said earlier this week. "What he did was about as senseless as it gets." McWee's supporters say that logic is too simplified. They point out McWee had never been in trouble with the law when he met his co-defendant George Scott. While McWee may have pulled the trigger, Scott was at the store when Perry died. And when the two killed their boss, roofing contractor David Wills, it was Scott who fired the shots, McWee's lawyers said. Scott was a career criminal who saved his own skin by cooperating with authorities from the beginning. Also, one of the main investigators on the case was the father of McWee's estranged wife, according to McWee's clemency petition. Morgan doesn't see it that way. She recalls Scott's testimony on how McWee ordered him to kill Willis or die himself. "McWee was an EMT, so he literally was taking is pulse as they shot him," Morgan said. "And he told the guy where to shoot him a second time so he died for sure." Perry's wife and three children have followed the case closely. Friday's execution won't end the suffering for them, but Morgan hopes it gives them peace. "The wound keeps getting salt in it all of the time," Morgan said. McWee will be the 30th inmate executed in South Carolina since the death penalty was reinstated in 1976. South Carolina's last execution came March 19 when David Clayton Hill was put to death for killing a Georgetown police officer 10 years ago. The next execution comes in just a week, when Jason Byram is scheduled to be killed by lethal injection for stabbing a teacher in her downtown Columbia home. COLUMBIA, S.C. - An inmate scheduled to die by lethal injection Friday for killing an Aiken County convenience store clerk 13 years ago may be down to one final chance to save his life. The U.S. Supreme Court refused to stop Jerry McWee's execution Wednesday. McWee's only other option to avoid the death house appears to be a petition for clemency filed earlier this week with Gov. Mark Sanford. McWee was sentenced to death 10 years ago for killing John Perry in July 1991. Authorities say McWee took Perry to the back of a rural convenience store and shot him twice in the head before stealing $350 from the cash register. McWee's lawyer, John Hardaway, did not immediately return a phone call Wednesday afternoon. McWee had asked the U.S. Supreme Court to delay the execution because he thinks the jury in his 1994 trial should have known he would have been 71 years old before he became eligible for parole. Two minutes after the jury began deliberating McWee's sentence, they sent a note to the judge asking: "Under South Carolina law is there a minimum number of years that must be served of a life sentence before eligibility for parole?" according to the appeal. Also McWee's lawyer pointed out a newspaper story where one juror who wanted to sentence McWee to life said he changed his mind to death after another juror told him that McWee might be paroled in 15 years. But the U.S. Supreme Court refused to stop the execution without comment, joining the state Supreme Court, which denied a similar appeal last month on a 3-2 vote. Hardaway has said McWee's only other chance to avoid lethal injection Friday rests in the governor's office. McWee's clemency petition asks for mercy because his co-defendant in the Perry killing and a second fatal shooting a week later struck a plea bargain that may have kept him from the death chamber. It also says McWee has been a model prisoner during his 10 years on death row, only committing one minor infraction. Spokesman Will Folks said Sanford has received the petition and is reviewing it. No South Carolina governor has reduced a death sentence to life in prison since the death penalty was reinstated nearly 30 years ago. Jerry McWee is scheduled to be executed for the murder of John Perry on April 16 — a sentence he might well not have been given under our current sentencing laws. He will be asking Gov. Mark Sanford for clemency. At the time of Perry’s murder, Jerry McWee was 40 years old and had no prior criminal record. He had become disabled after an on-the-job injury, and met George Scott while working as a security guard at a local diner. McWee and Scott became roommates, and within a short time they also became co-defendants in two Aiken County homicides. Despite equal responsibility for two murders, Jerry McWee and George Scott ended up in very different places. McWee was tried first. He apologized and expressed remorse for his actions. Numerous witnesses — friends, family, former employers — testified to McWee’s compassion and caring, and to innumerable acts of kindness. McWee received a death sentence. George Scott was a career criminal with a lengthy criminal history. He testified against McWee, giving what amounted to some of the most inflammatory testimony concerning McWee’s involvement in the crimes. Scott denied having any kind of deal with the prosecution. Scott maintained he was testifying not to help himself, but to purge his soul. Several years later while in prison, Scott recanted his statement about not having a deal, saying he was told he did not have to admit to having a deal with the prosecution because the agreement had not been in writing. As McWee and his attorneys had long suspected, but had no way to demonstrate at trial, Scott’s testimony was simply an act of self-preservation. Jerry McWee’s bad luck did not end with having George Scott as a co-defendant turned state’s witness. McWee also had the misfortune of being tried in 1994, a time when state law forbade telling jurors the truth about parole eligibility. For McWee, the parole issue was a big problem. His jury obsessed about the possibility of parole for “life” inmates. Five of his 12 jurors specifically asked about parole, but were told not to think about it. And, in a last-ditch effort to get the information, the jury sent the trial judge a note asking him how much time McWee would serve before becoming eligible for parole if he got life. The judge refused to answer the question, and a few hours later the jury returned with a death verdict. In June 2002, information surfaced that illustrates the unfairness in denying jurors truthful information. A juror on McWee’s case admitted to misinforming another juror to change his vote from life to death based on the (nonexistent) possibility that McWee could get parole in 15 years. Thanks to a truth-in-sentencing bill sponsored by Rep. Greg Deleney, jurors asked to make a life-or-death decision are now told the truth about parole eligibility. Had this law been around in 1994, McWee might well be serving a life without parole sentence. For the past 10 years, Jerry McWee has resided on South Carolina’s death row, and he has an excellent prison record. He has had only one minor disciplinary action based on the fact that his family gave him more than $25, for things such as shampoo and toothpaste. Excess money constituted “contraband,” and McWee was cited for this offense. The reasons for granting clemency vary widely, but as recently as January, Georgia death row inmate Willie James Hall was spared by clemency. As in McWee’s case, Hall’s jurors were denied truthful information during their sentencing deliberations. Also like McWee, Hall had no prior criminal record, and had demonstrated excellent behavior in prison. Clemency is an act of grace and mercy. It is an executive function, and only Gov. Sanford may grant it. If Jerry McWee gets clemency, he will never be released from prison. I submit that this is a good example of a case when clemency should be granted. Ms. Kimbrough, an attorney in private practice, has represented Mr. McWee for seven years. The state of South Carolina is scheduled to execute Jerry McWee, a white man, April 16 for the 1989 murder of John Perry in Aiken County. Mr. McWee, a former police officer, is severely mentally ill, suffering from hallucinations, severe depression with psychotic features and delusional thinking that includes visits by a dead cousin. Mr. McWee had ineffective defense counsel. His mental illness has been documented starting at age 10, and every member of McWee’s family – his mother, father, sister and brother – has been and continues to be treated for depression, anxiety, migraines, suicidal impulses, fainting spells, and neurosis. Likewise, his daughters and his nieces have been treated for mental illness and depression, as have three of his maternal aunts. This family history was never investigated or presented to the jury. The state laid the foundation of their death penalty argument in the claim that Mr. McWee would present a future danger to society. The judge initially agreed to instruct the jury that Mr. McWee would not be eligible for parole for 30 years, until he was 71. However, the judge later refused to do so, even when the jury specifically inquired about parole eligibility. In the case of State v. Shafer, the U.S. Supreme Court found that “due process is violated when a jury’s speculative misunderstanding about a capital case is allowed to go uncorrected.” In the case of Mr. McWee, where the state’s argument for a death sentence was grounded in his “future dangerousness,” this information was necessary for a fair and just decision from the jury. Please take a moment to contact Gov. Mark Sanford, and urge him to stop the execution of Mr. McWee, and commute his sentence to life imprisonment in an environment where he will receive treatment for his mental illness. Please further urge Gov. Sanford to declare a moratorium on all executions in South Carolina. Jerry McWee glanced at the witnesses to his execution for only a moment - just long enough to blow two kisses to his mother. Then he gazed back up at the ceiling Friday and mumbled as he was put to death for killing an Aiken County convenience store clerk in July 1991. McWee also pleaded guilty to murder and was sentenced to life in the shooting death of his boss a week later. His co-defendant George Scott, who shot the second victim, received a life sentence for both killings as part of a plea bargain. McWee had two final appeals rejected this week. The U.S. Supreme Court turned down one appeal where McWee argued the jury in his trial should have known he would have been 71 years old before he became eligible for parole. And on Thursday, Gov. Mark Sanford refused to reduce McWee's sentence to life in prison without parole. McWee's lawyers had argued for clemency because prosecutors cut Scott a deal. McWee's execution brought a larger number of protesters than usual to the Broad River Correctional Institution. About 50 people walked the sidewalk along a busy city street in front of the prison, then gathered in a circle and prayed as the time for McWee's execution came. Several of the protesters said they came out Friday because Celia McWee marched down the same sidewalks during some previous executions. After the execution was over, Celia McWee came out and thanked some of the protesters. "I hope my son's death brings peace to the Perry family," Celia McWee told WJBF-TV in Augusta, Ga. Following jury trial, defendant was convicted of murder and armed robbery in the Circuit Court, Aiken County, Luke N. Brown, Special Judge, and was sentenced to death. Defendant appealed. The Supreme Court, Burnett, J., held that: (1) state was not barred from seeking death penalty; (2) trial court was not required to give parole eligibility instruction during penalty phase; (3) admission of expert's opinion which defendant claimed was inadmissible because expert could not state time of death to reasonable degree of medical certainty did not warrant reversal; (4) aggravating circumstances of robbery while armed with deadly weapon and larceny with deadly weapon were not based on same act; (5) accomplice's demonstration of shooting technique which defendant sought to introduce at trial was not relevant; (6) defendant was not entitled to charge on deterrence; and (7) death penalty was appropriate. Affirmed. Finney, C.J., filed dissenting opinion. Appellant was convicted of murder and armed robbery and received a death sentence. We consider appellant's direct appeal and the sentence review mandated by S.C.Code Ann. § 16-3-25 (1985) and affirm. Appellant and his accomplice, George Wade Scott (Scott), killed a man working in a rural convenience store, then stole a gun, cigarettes, and money from a cash register. In a statement admitted during the guilt phase of appellant's trial, appellant acknowledged shooting the victim twice, the first time "by accident" and the second time "by mistake". [FN1] During the penalty phase, it was revealed that appellant and Scott had committed another murder one week after this one, and that appellant had solicited Scott to kill appellant's ex- wife. Scott admitted firing the shots which killed the second victim, but alleged appellant made him do it. FN1. During the penalty phase, appellant contended Scott held the store gun to appellant's back and made him kill the victim. After reviewing the entire record, we are convinced the death sentence in appellant's case was not the result of passion, prejudice, or any arbitrary factor. In addition, the jury's finding of aggravating circumstances is supported by the evidence. See S.C.Code Ann. § 16-3-25 (1985). Further, we hold the death penalty here is not excessive or disproportionate to the penalty imposed in similar capital cases. See State v. Sims, 304 S.C. 409, 405 S.E.2d 377 (1991), cert. denied, 502 U.S. 1103, 112 S.Ct. 1193, 117 L.Ed.2d 434 (1992); State v. Thompson, 278 S.C. 1, 292 S.E.2d 581, cert. denied, 456 U.S. 938, 102 S.Ct. 1996, 72 L.Ed.2d 458 (1982), overruled on other grounds, State v. Torrence, supra (abolishing in favorem vitae review). We therefore affirm appellant's convictions and sentence. Background: After his murder and armed robbery convictions and sentence of death were affirmed on direct appeal, 322 S.C. 387, 472 S.E.2d 235, inmate petitioned for writ of habeas corpus to the Supreme Court contending that denial of request for parole eligibility charge violated his constitutional rights. Holding: The Supreme Court, Burnett, J., held that: denial of parole eligibility charge in capital trial was not denial of fundamental fairness.Writ denied. Petitioner, a death row inmate who has exhausted his state remedies, seeks a writ of habeas corpus contending the denial of his request for a parole eligibility charge at trial was "a violation, which, in the setting, constitutes a denial of fundamental fairness shocking to the universal sense of justice." Butler v. State, 302 S.C. 466, 468, 397 S.E.2d 87, 88 (1990) (emphasis in original) (internal citation omitted). We deny the writ. Petitioner was convicted of murder and armed robbery and was sentenced to death. His direct appeal was affirmed. State v. McWee, 322 S.C. 387, 472 S.E.2d 235 (1996), cert. denied 519 U.S. 1061, 117 S.Ct. 695, 136 L.Ed.2d 618 (1997). His application for post-conviction relief was denied and this Court declined to issue a writ of certiorari to review that decision. Petitioner received no relief from the federal courts, see McWee v. Weldon, 283 F.3d 179 (4th Cir. ), cert. denied 537 U.S. 893, 123 S.Ct. 162, 154 L.Ed.2d 158 (2002), and has now filed this petition for a writ of habeas corpus in this Court's original jurisdiction. See Butler v. State, supra. Petitioner's habeas petition involves the trial court's refusal to give a parole eligibility charge during the penalty phase of petitioner's capital trial. Prior to jury voir dire, petitioner's attorneys inquired whether the trial judge would instruct the jury that petitioner would be parole eligible after service of thirty years. The trial judge indicated he would give such a charge. At the beginning of the penalty phase, however, the trial judge stated he would not instruct the jury on petitioner's parole eligibility. Accordingly, during his initial charge in the penalty phase, the trial judge told the jury that the terms "life imprisonment" and "death penalty" were to be given their plain and ordinary meanings. After some deliberation, the jurors inquired whether a defendant who received a life sentence was required to serve a minimum number of years before becoming eligible for parole. The trial judge reiterated the "plain and ordinary meaning" charge. Petitioner again requested the jury be instructed as to his parole eligibility; the judge again denied the request. Put simply, failure to charge the jury that petitioner was parole eligible is not shocking to the universal sense of justice. Clearly, petitioner's constitutional rights were not violated by the trial judge's refusal to give a parole eligibility charge; moreover, there have been no intervening circumstances by way of new law, after-discovered evidence, or any other alleged fact, which, in the setting, warrants the issuance of a writ of habeas corpus. [FN5] We deny the petition. FN5. Approximately eight years after petitioner's trial, the General Assembly amended the capital sentencing statute to provide that the trial judge must charge the applicable parole eligibility statute when requested by the defendant. S.C.Code Ann. § 16-3-20 (Supp.2002). The amendment, generated after years of legal debate concerning the relevance of parole in eligibility, does not, under the circumstances presented here, constitute a denial of fundamental fairness shocking to the universal sense of justice.